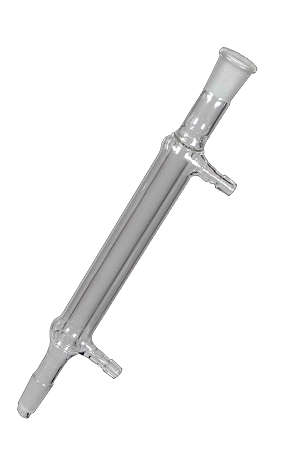 Liebig condenser with straight shape body and standard ground mouth. Made from high-strength borosilicate 3.3 glass. Note: This is a restricted item. To ensure that purchases are for legal uses only, we ask that you contact us first for clearance.